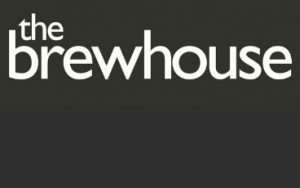 Taunton Deane Borough Council (TDBC) and Taunton Theatre Association (TTA) have announced the appointment of MICA Architects to redevelop The Brewhouse Theatre & Arts Centre on the Coal Orchard site. The news was revealed today (Friday 5 October) during a visit to the riverside venue by the Rt Hon Jeremy Wright QC, the newly appointed Secretary of State for Digital, Culture, Media and Sport. TDBC who own the arts centre and the operator TTA, have been working on plans to expand and revitalise the 70s building into a flagship, multi-purpose arts venue fit for generations to come. MICA is a leading architectural practice responsible for the Southbank Masterplan, Lyric Theatre Hammersmith, Fairfield Halls restoration, National Maritime Museum and Horniman Museum in the UK. MICA will work in partnership with theatre and acoustic specialist, Sound Space Vision, whose international portfolio includes Theatre Royal (Bath), Dubai Opera House and Four Seasons Centre for the Performing Arts (Toronto, Canada). The improved venue will include an enlarged main auditorium and flexible studio theatre to enable a greater programme of live performances, with improved acoustics and better facilities for national touring productions. The revitalised arts centre will wrap around parts of the existing building, working in harmony to preserve the adjoining listed 18th century house. This will provide a range of new spaces including performing and visual art studios, cinema, cafe and gallery while making the most of the river frontage and creating the potential for pop-up performances and events. TTA are in already in talks with several service providers and arts organisations who are anticipated to reside in or utilise the rejuvenated facility, creating a thriving cultural hub in the heart of Taunton. The capital cost for the project is fixed at £12million and the project is planned to be delivered by autumn 2022.